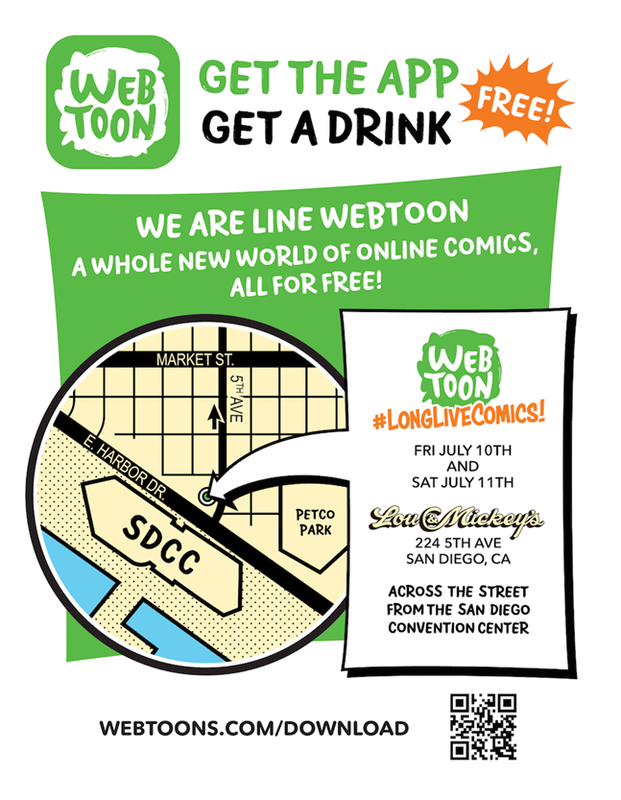 ﻿Join LINE Webtoon for their U.S. launch at Comic-Con! They’ll be at Lou & Mickey’s on Friday, July 10th and Saturday, July 11th with giveaways all weekend long. Get a comic inspired makeover at their Comic Yourself station, make your friends at home jealous by sending them custom gifs from our Gif Booth, play with our interactive stations, and recharge your phone and your body! All entrants get a drink ticket, and it’s all FREE!